Banks have been illegally charging customers overdraft fees for many years. In 2009 alone, U.S. Banks charged over forty billion dollars ($40,000,000,00) to customers who overdrafted their accounts. The Banks unfairly process debit, ATM, check cards, and checks to systematically ensure that you have as many overdrafts as possible, often charging $35.00 per overdraft. This law firm is investigating all potential banks everywhere in the U.S. that may be engaging in this illegal conduct. If you think this has happened to you, please fill out the form here or call us immediately to discuss your case. We can help. An area of controversy with regards to overdraft fees is the order in which a bank posts transactions to a customer's account. This is controversial because largest to smallest processing tends to maximize overdraft occurrences on a customer's account. This situation can arise when the account holder makes a number of small debits for which there are sufficient funds in the account at the time of purchase. 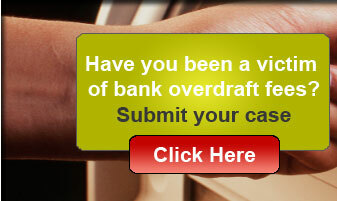 Later, the account holder makes a large debit that overdraws the account (either accidentally or intentionally). If all of the items present for payment to the account on the same day, and the bank processes the largest transaction first, multiple overdrafts can result. The "biggest check first" policy is common among large U.S. banks. Banks argue that this is done to prevent a customer's most important transactions (such as a rent or mortgage check, or utility payment) from being returned unpaid, despite some such transactions being guaranteed. Consumers have attempted to litigate to prevent this practice, arguing that banks use "biggest check first" to manipulate the order of transactions to artificially trigger more overdraft fees to collect. Banks in the United States are mostly regulated by the Office of the Comptroller of Currency, a Federal agency, which has formally approved of the practice; the practice has recently been challenged, however, under numerous federal and state deceptive practice laws. The practice may be close to ending and you can help. We can help. Contact us now by filling out the form to the right or calling us immediately to discuss your case.